Washington shield with MUTCD fonts. Washington U. S. shields available in traditional white with black legend, and various colors, as used by that state. 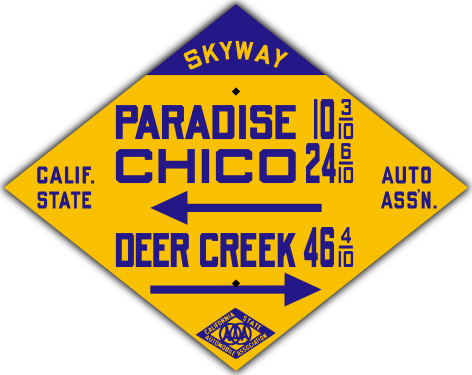 This style of guide sign was placed by the California State Auto Association all over the west: primarily in California, but also in Nevada, Utah, Colorado, and as far east as Kansas. It was used from around 1915 to 1927.